Can display remaining power info on cameras. A 5V/1A USB socket for mobile devices (cell phone etc) charging. USB 5 Volt output socket for mobile devices (cell phone etc) charging. 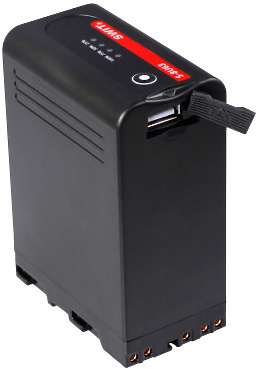 Hire the S-8U63 Li-ion Battery from Procam. Best service and rental rates for the S-8U63 Li-ion Battery and all cameras, lenses, sound, lighting and grip.